Enjoy Coffee With Strat-o-Brother Hubert Sumlin! Ed note: This '07 post precedes the passing of Mr. Sumlin in 2011. 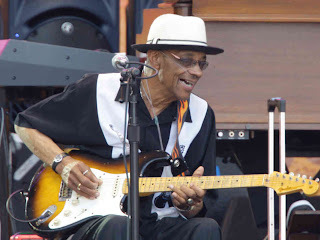 Hubert Sumlin, probably our oldest Strat-o-Brother, is still touring and playin' his Strat. This video features an interview by Anthony Sapienza for SeventhHourBlues.com , a downloadable music and arts magazine you MUST check out. Special kudos to them for the work they do! 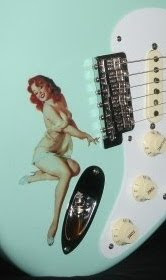 After Hubert's coffee chat, he whips out his red Strat and recounts a visit with Charlie Patton, and how Charlie straightened him out on playing Smokestack Lightnin' correctly. Hubert was already playing with Howlin' Wolf at the time.